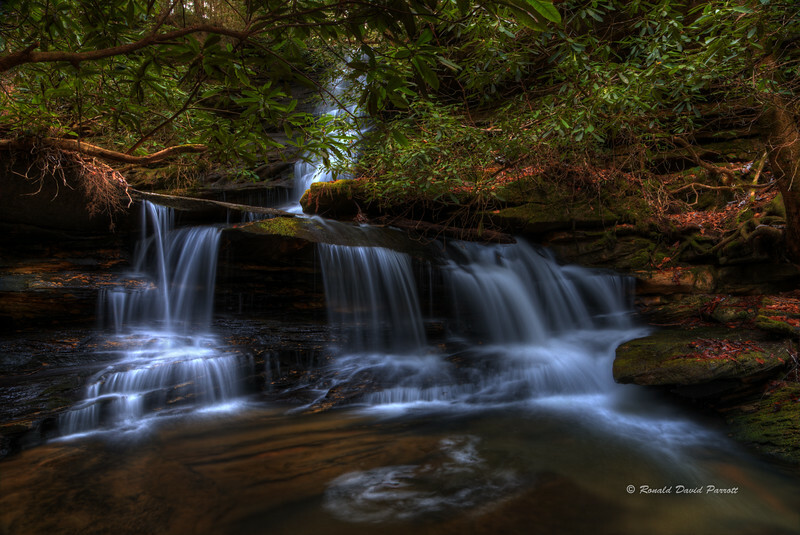 The waterfall in the foreground is the 3rd Falls On Pounder Branch. The partially visible waterfall in the background is Lava Falls. Lava Falls is on an unnamed tributary of Pounder Branch.